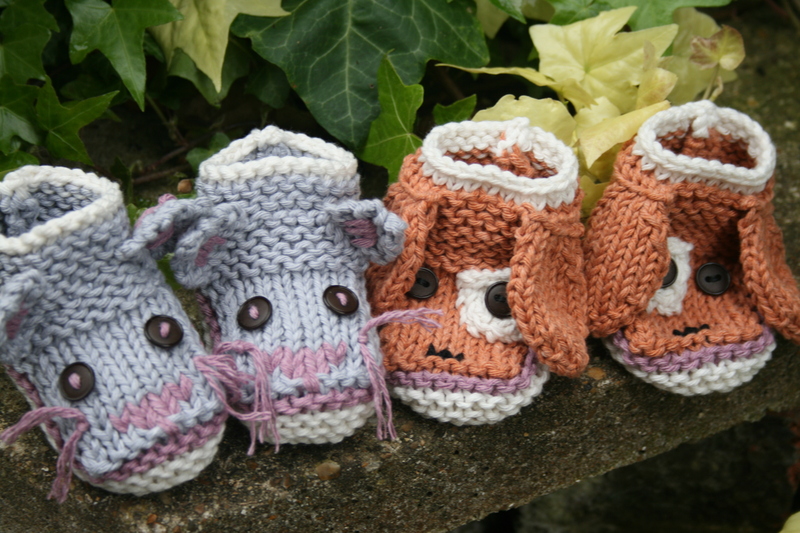 The Kitty and Doggy booties are friends! Now thats something you don’t see everyday. Designing for the little people!, Knitting!